It seems strange to “review” a place I’ve been to many times, and a venue that I’ll bet most readers of this blog have frequented as well. Brown’s Brewing Company is one of my favorite brewpubs in the Capital District, not just because they have good beer, but also due to the fact their food is great, the atmosphere and décor are attractive, and I’ve never had bad service there. What’s odd is that I feel like I’m in the minority among Capital District craft beer enthusiasts in my enjoyment of Brown’s. Maybe I just hang with too many hipsters and snobs who only drink beer they get in trades or after an eight-hour beer run. I’ve heard these people claim they detect dimethyl sulfide, diacetyl, and under-attenuation, especially after the brewery was flooded by Hurricane Irene in 2011. I’ve never encountered any of these flaws in their beer, but I’m not a certified BJCP or Cicerone, so what do I know? Not that I think every beer Brown’s makes is excellent (some are pretty boring, actually), but for the most part I’ve enjoyed what I’ve had. Isn’t that what makes for a good brewery? Belgian Blonde (5% ABV): Quite robust for a Belgian single. Lots of banana, clove, and spicy notes. Jordan ordered a full pint of this. American Wheat Ale (5% ABV): It seems redundant to have this beer when there’s already a hefeweizen on tap. It’s bland, slightly grainy, a thin body, and starchy aftertaste. Hefeweizen (5% ABV): A by-the-book Bavarian-style hefeweizen. Seems a little thinner and cleaner than most (I prefer a grittier hefe). Still, I thought it was refreshing, enjoyable, and sessionable. India Pale Ale (6.5% ABV): This beer reminds me of a cross between Dogfish Head 60 Minute and a British-style IPA. It’s what I would consider an IPA for beginners, though I do enjoy the classic East Coast piney hops. Cherry Raspberry Ale (6.5% ABV): This is actually one of the few fruit beers I genuinely enjoy since it’s sweet, but not cloying, and has an authentic, almost juicy taste. I recommend blending this with their oatmeal stout to make for an even better beer. 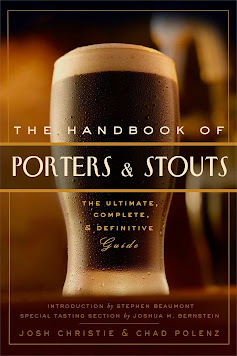 Porter (5.75% ABV): It’s a brewpub porter that’s not boring. Plenty of chocolate and malty sweetness with a nice aftertaste and smooth drinkability. Whiskey Barrel Aged Porter (5.75% ABV): Hands down the best beer Brown’s makes. Massive vanilla character combined with slight whiskey smokiness and sweetness. Yet it’s still a robust porter at the core and is never cloying. I usually order a full pint of this to go with a meal, especially the pulled pork. Oatmeal Stout (5.25% ABV): Noticeably roasty with a dark chocolate taste and significant bitterness. Good to pair with dessert. After dinner, Jordan and I went to a Tri-City Valley Cats game and had another Brown’s beer at the game since they have a stand at Joe Bruno Stadium. We had the Brown Ale (5% ABV), which is quite sweet with almost confectionery flavors, though there’s distinct nuttiness as well. It’s the only Brown’s beer I’ve had on tap, out of the bottle, and on cask. Speaking of cask, I believe Brown’s is the only brewpub in the area to offer their beers on cask on a regular basis. Every Thursday, a different beer is poured from a gravity-driven firkin on the bar. Cask beer is rare around here, so I definitely recommend stopping by on a Thursday night sometime to experience what fresh cask ale tastes like. I also recommend doing a side-by-side comparison of that beer on tap and/or out of the bottle if it’s available. As for the rest of Brown’s lineup, I’m pretty sure I’ve tried them all by now. I’ve reviewed many of them on my blog, and you can see them all here. If you were to graph my ratings of Brown’s beers it would definitely be a bell-shaped curve: a few clunkers; a few gems; but for the most part it’s good, solid stuff. I do wish they would give their beers original names instead of simply “Brown’s [insert style here]“. Also, I would like to see some experimental, offbeat, and hybrid brews instead of the usual by-the-book styles. I’m not saying they have to give Dogfish Head a run for their money, but how about a chocolate or coffee stout, or a saison, or something in the general spice/herb/vegetable category. Give the nature of this blog I could probably end this entry here since everything beer-related has been discussed. However, I do want to quickly discuss the non-beer topics. I really enjoy the atmosphere, layout, and décor of the entire building. Troy is not a city I usually associate with pretty scenery, but that entire River Street block is quaint and serene. The mural, the river, the bridge, and the 19th Century architecture is really unique and charming. The interior has a distinct look with its own unique style that’s polished, but doesn’t come off as commercial or cliché. Sitting on the back deck with the view of the river make a visit in the summer all the more worthwhile. As for the food, I’ve tried quite a few things on the menu and I’ve enjoyed them all. The Uncle Sam Burger is usually my go-to meal, though the pulled pork sandwich is just as good. The appetizers are great for groups, especially the nachos, or enjoyed alone as a meal. Jordan and I tried the deep fried green beans with chipotle cocktail sauce and it was an interesting taste to say the least. We also got the beer pretzels which are probably the best soft pretzels I’ve ever had (gotta love that honey mustard sauce). I don’t think I’ve ordered any of the fancier entrees, though. They’re a bit too pricey for me. Service has been pretty good for the most part. I wouldn’t say it’s particularly better or worse at Brown’s than at any comparable restaurant. Sometimes it’s a tad slow, though that’s somewhat understandable considering the restaurant seats 230 people between the two floors and another 65 on the deck. Lastly, I think Brown’s is a pretty good value. Between the two of us, the total (after taxes) came to just about $40. That’s pretty good considering we got a total of 40oz of beer, an appetizer, and two entrees (well, Jordan’s entrée was the deep fried green beans and a side salad). So yes, you could call me a fan of Brown’s – both the brewing company and the restaurant. I won’t claim they’re perfect or amazing, but I think there’s plenty to like.